The Pajero Sport is actually the 3rd generation Mitsubishi Challenger. As far as I know, the only relationship with the full size Pajero is the name. Regular readers of this site will know I am not a fan of this type of car. I think they are mediocre at everything. I also don’t see the need to buy your car around the 1-2 times per year you might want to tow something or go off-road. There are better ways to haul four people, there are much nicer cars to drive, much better value cars and better equipped cars. 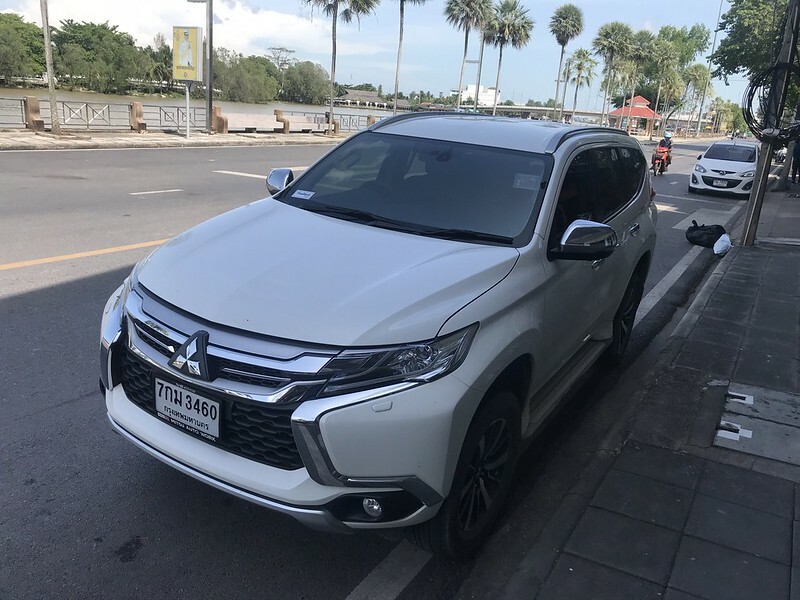 In comparison with the Fortuner, the ride is very slightly better, and the engine/transmission is far more willing to overtake at freeway speed. More importantly, the 3rd row seat are a better design. Instead of folding into the sides and taking up a lot of the load area, they fold flat into the load area floor. You still have the issue of getting into these seats if you have child seats in the middle row, vs cars with rear facing seats. Like the Fortuner, the Pajero Sport is fairly fuel efficient for such a large vehicle. It is not quite as efficient as the Fortuner. There are two things that are worse than the fortuner. The first is that you cannot quickly turn on the ignition to get the A/C running while you load children and bags. You must get in the car and hold the brake pedal down. Annoying. Secondly, the rear loading area is really high and difficult for even an average adult to climb up in there. Strangely the tailgate is low and I struck my head on it a few times. Overall I would not buy a Pajero Sport. But I would buy one over a Toyota Fortuner. It is worth the slight fuel efficiency penalty and sometimes knocking your head on the tailgate.